All those hours you spend in front of your PC working, writing, coding or even gaming require a quality and comfortable keyboard. If you’re on the lookout for the best mechanical keyboard or cool-looking keyboards for sale, you might want to check our reviews of some of the critically acclaimed products in this line. 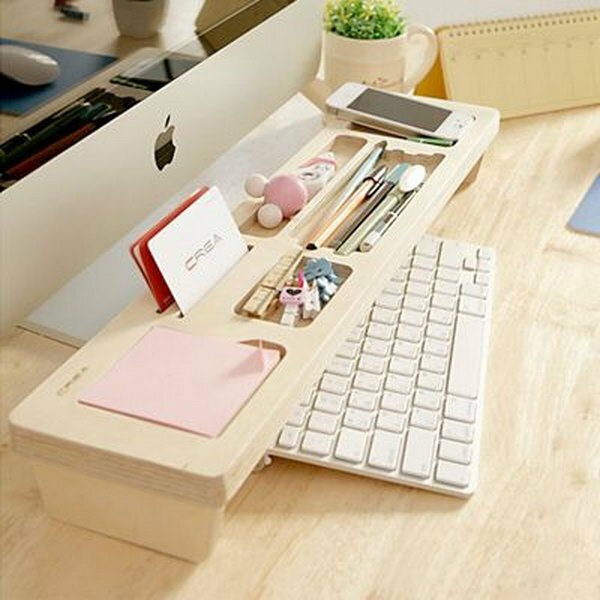 You will find keyboards that will significantly boost your comfort when typing and designs that will add to your office decoration at prices that won’t break your wallet. With this model from Logitech, you get both the keyboard and the mouse you need to improve your computer experience. The ergonomic wave design will improve your comfort providing you with less stress and enhanced natural typing. Moreover, you get to reduce your wrist fatigue thanks to the integrated palm rest and the three height options you can choose from. The keyboard’s battery life is up to 3 years whereas the mouse has a battery life of up to 2 years. The mouse will help you enjoy faster navigation as well as more detailed work thanks to the precision-laser technology it uses. If you’re a heavy gamer looking for a treat, this keyboard from Corsair might be just what you need to take your gaming experience to the next level. The K55 RGB model was created with one goal in mind: to enhance your performance and, thus, get you one step closer to victory. The keyboard features 6 dedicated macro keys, multi-key anti-ghosting and media controls, 10+ vivid RGB lighting modes, and dedicated volume and multimedia controls so you can adjust your volume directly without interrupting your game. The keys are quiet and responsive. Plus, your comfort is further enhanced by the detachable soft rubber wrist rest. Another great option when it comes to keyboards is this wireless model from Microsoft. This modern and compact keyboard comes with a bundle of convenient features that will enhance your performance while providing you with comfort. The ambidextrous design and the soft-touch palm rest make it suitable for use with either hand. The keyboard offers enhanced security as well thanks to the Advanced Encryption Standard (AES*) technology. The 128-bit encryption will make sure your keystrokes are encrypted and you can protect your information. The mouse it comes with features the Microsoft BlueTrack Technology that makes it work on virtually any surface. 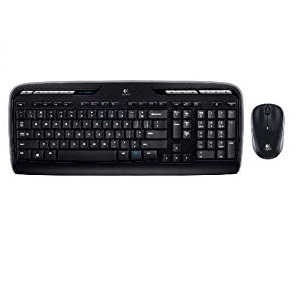 Compatible with Windows 8, Windows 7, Windows Vista, Windows XP, this keyboard from Logitech features low-profile, whisper-quiet keys that will enhance your typing without disturbing the people near you. It also comes with the M215 Mouse and boasts 11 hotkeys that will ensure quick access to the most popular entertainment apps. This combo comes with extended battery life, so you can use the keyboard up to 24 months and the mouse up to 12 months. The advanced 2.4 GHz connection with 25-meter/82-foot wireless range allows you to use it in more places. The unifying receiver makes it easy to set up and use. If your passion for gaming calls for a gear upgrade that includes a new keyboard, you might want to try the G213 model from Logitech for advanced gaming-grade performance and enhanced speed and accuracy, as well as more fun. The performance-tuned keys will give you reaction times up to 4 times faster than when using a normal keyboard. The keyboard’s five individual lighting zones can be customized to suit the type of game you’re playing. It boasts dedicated media controls (play, pause, skip, stop) that will help you control your background track without interrupting your game. The build is durable and the materials used are spill-resistant. Did you say intense gaming marathons? Razer Ornata Chroma is what you need then. Designed with such activities in mind, this keyboard is both about advanced gaming performance and boosted comfort provided in a unique design. This unit will take your typing experience to a whole new level thanks to its Razer Mecha-Membrane that combines membrane rubber domes with mechanical switches. The soft cushioned touch, the crisp tactile click, and the mid-height keycaps ensure accuracy and promptness. The ergonomic wrist rest will make sure all those long gaming sessions are paired with comfort and the incredible lighting effects make the keyboard react to your game. Perfect for typing on all your Bluetooth-enabled computing devices that support external keyboards with HID profile, this universal keyboard from Logitech is lightweight, compact, and ultra-portable. You can use it to enjoy the comfort of desktop typing when using smaller devices such as your smartphone or tablet. It can be connected to three devices simultaneously as switching between them is done instantly. You can use the keyboard as a regular one or you can combine it with a mouse to enjoy faster typing, copying, pasting, and file transfer between your computers. The keyboard has a battery life of up to 2 years. This model from Kensington is committed to delivering quiet typing, enhanced responsiveness, and precise control in a slim unit that is just 0.75 inches thin. The keyboard will get you the professional-level productivity you need without sacrificing your comfort. 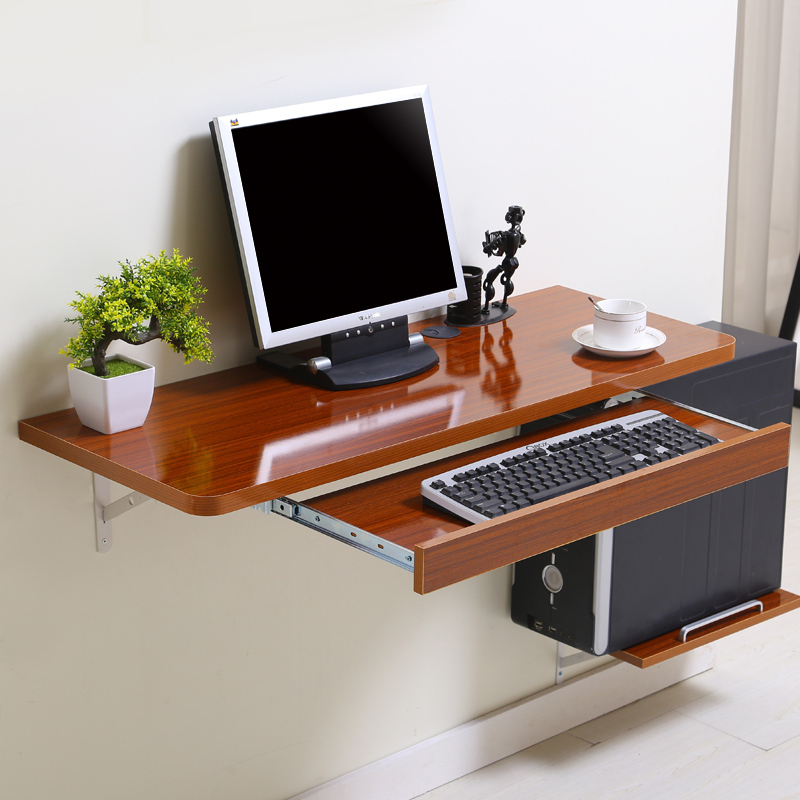 The glossy back finish will also add to your office décor. The product features premium, quiet keys, convenient controls, and one-touch multi-media quick keys that will allow you to easily control various functions such as volume, mute, and sleep. Plus, the web key will enable you to launch your default browser instantly. Its 6 rows of keys and the numeric pad make it perfect for a touch typist. If you long for an old-school typewriter yet you’re in need of the performance a 2019 keyboard can provide, you might want to try the Azio MK-RETRO-01 keyboard. That’s surely one-of-a-kind. This typewriter inspired mechanical keyboard combines classic and modern designs in a stylish and high-performance unit. Don’t let yourself fooled by the retro aesthetics as the keyboard provides contemporary state-of-the-art functionalities. It features 100% NKRO, which means you can type as fast as you need or like without worrying that you will miss a stroke. Productivity is further boosted by the easy access shortcut hotkeys. Plus, the keyboard is water and dust-resistant. In case you want to treat yourself to a touch of luxury, then the Surface Pro keyboard from Microsoft is worth considering. The keyboard makes use of a luxury material that will provide the user with a velvety, soft touch while ensuring the full keyboard experience thanks to its optimum key spacing, LED backlighting, and a large glass trackpad. Combining comfort, technology, and style, this keyboard makes a great addition to your Surface Pro device. The product clicks easily into place being able to adjust to any angle. The material used is stain-resistant, durable, and easy to clean. When it comes to operating a computer, the first thing we touch is either the keyboard or the mouse. But it is the keyboard that actually gets all the attention, for with the use of it we do most of our interactions with the computer. Even when just reading an article or thinking about what we should type next, our hands are always on it, which makes choosing a cool keyboard a task that anyone should endeavor on. If you’re looking to buy a new keyboard, or just want to see if replacing your current keyboard is worth it. For this, you need to know what a good keyboard can offer, and there are a lot of choices for you to choose from, which can make the task of finding a keyboard that suits your needs quite tasking. You have to consider your own preferences, or if you’re buying it for a friend, you should also consider the preferences of that person. What are the purposes for which the keyboard will be used for? Will it be only used for typing or also multimedia? Does a wired or a wireless keyboard work best? In the end, what features make for the for a quality keyboard that will satisfy the complex needs of the consumer? The first thing you have probably noticed after prospecting the market is that the number of types of keyboards to choose from is staggering, and each one offers its own set of features. If you want a feature that will be comfortable to use, you should seek one with ergonomics features. If you want to easily transport you might want to go for a portable keyboard. The connectivity is also important, choosing between a wired or a wireless keyboard can make for an easy decision once you know the advantages and disadvantages of each one. Even the layout of the keyboard might play a part in your decision. To make things easier for you, we have carefully looked over some of the best keyboard reviews so that we can pinpoint the features that users look for in a quality keyboard. So take a look at our guide below and see if it might help you find the best keyboard available for sale. When choosing a keyboard nowadays, the primary two features you have to choose from is the connectivity of the keyboard. The modern craze of going wireless has been present in keyboards for quite some time. All you have to do in order to connect a wireless keyboard to a PC is to plug a little USB drive to the USB port, or if the keyboard connects with the help of Bluetooth, you just need to toggle some settings on your computer. It’s that simple, all without having to worry about the clutter that wires can create. The only downside is that you will need to change the batteries or recharge your keyboard periodically. The wired keyboard is the type most people are accustomed to, because it uses a simple wire to connect through a USB port to your computer, they can be a cheaper and more reliable option over time. If you use your keyboard for gaming, a wired keyboard will have little lag as opposed to the wireless one. The downside is that you will only be able to use the keyboard near your computer unless the wire is really long. This may sound obvious because we use keyboards to type, yet some people don’t take into consideration the key switches when buying a new keyboard. Basically, what this means is that three major types of keys that are used for keyboard, and each one has different users in mind. The three types of keys are mechanical switches, silicone dome and scissor switches, and mechanical switches. Out of the three, we recommend the mechanical switches the most, but first, let’s talk a bit about the other two types. The scissor switches are the low profile keyboards you can see in most laptops, while the silicone dome switches are what you generally see in budget keyboards. Both dome and scissor switches use a grid of rubber bubbles as the switch for each key. These switches can easily break over time as the rubber membrane can lose its responsiveness over time. As any keyboard enthusiast know, if you seek quality and ease of use, mechanical keyboards make the best choice on the market. These use strings as a pressing mechanism under each key, which is why mechanical switches are known for that loud clicky sound. They are more durable, easier to repair, offer better tactile feedback and if you so desire you can even choose a non-clicky switch. You must be careful that the layout of the keyboard you buy matches the layout you are used to, not all keyboard follow the QWERTY layout. Some keyboards also don’t have the numeric pad, so be careful to check the layout of the keyboard before purchasing it. Some keyboards also come with more keys than others and depending on how you use the keyboard they could be useful for you. For example, if you tend to use your computer for multimedia, you can look for a keyboard that has built-in multimedia keys such as volume, play, pause, etc. keys. It convenient. You can also find keyboards with assignable shortcut keys so that you can choose for example to open your favorite application, file, website, game and more with the press of a key. One final yet important feature you should seek in a keyboard is comfort. If you use a keyboard which lacks ergonomic features, for long periods of time you might risk inflammation of joints and tendons which could lead to complications. To avoid this, you should go for a keyboard that feature padded wrist and palm rests. If you want to experiment with more elaborate design, you could also look at keyboards that curve and slope. Whatever your choice, comfort should not be overlooked.